UNHCR published new figures showing an alarming increase in the refugee death rate in the Mediterranean Sea. An estimated 2,275 people died in 2018 trying to cross the sea from Africa to Europe which amounts to one death per 51 arrivals. Opposed to that, figures from 2015 show one person dying out of 269 arriving. The numbers are also alarming considering that in 2015 many more refugees set out to cross the sea. Also, aid organizations emphasize that these figures might be much higher as they only reflect recorded deaths. Many more people are expected to have died at sea whose boats have never been found. The high death toll is reportedly caused by cuts in the budget of search and rescue operations in the Mediterranean Sea. Another reason is the ongoing debate of who is responsible for rescued refugees. “As a result, there will be more situations in which often severely traumatized people are kept at sea for several days while governments debate where they can be disembarked. 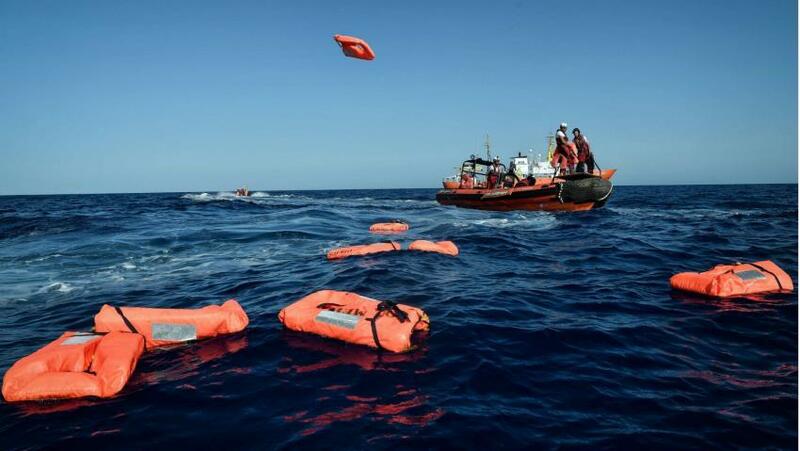 The high death rate is also likely to continue, given the worrying reduction in search and rescue capacity.” Recently, an increasing amount of non-governmental rescue ships were denied access to Mediterranean countries. Especially Italy refuses to take in rescued refugees causing them to seek refuge in Spain instead. There, new arrivals rose by 131% last year as opposed to Italy where the numbers decreased by 80%.